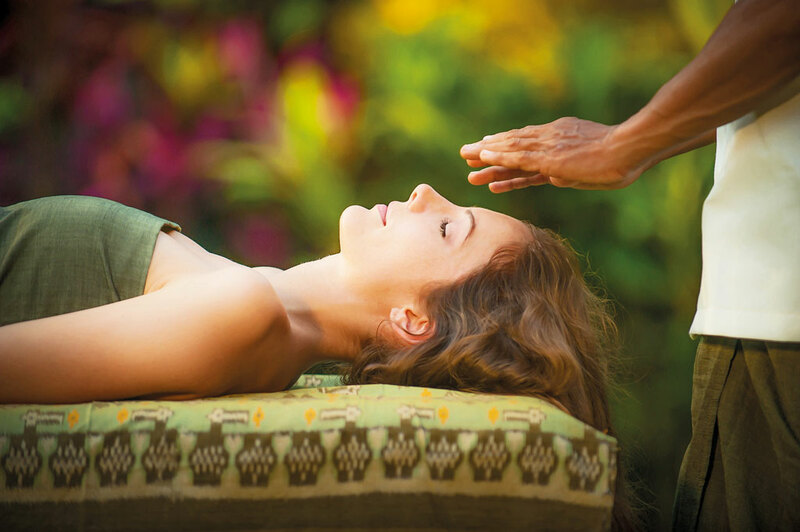 Nestled in the peaceful setting of Nusa Dua, REVĪVŌ Wellness Resort hosts a series of invigorating mind and body programs starting this month. REVĪVŌ, which means “I’ll live again”, embodies the philosophy of awakening the senses and the mind. The luxury wellness resort’s new wellness initiatives include Floating Sundays, a Reshaping Retreat and an exclusive 7-day Ketogenic Retreat. For those in need of a one-day restoration, the resort’s Floating Sundays are the perfect choice. At REVĪVŌ, wellness is holistic, and all of the programs offered help to heal and empower the mind, body and spirit. This is precisely what Floating Sundays are all about. This special day program introduces the idea of ‘floating’ in three unique ways, each addressing those three pillars – mind, body and spirit. 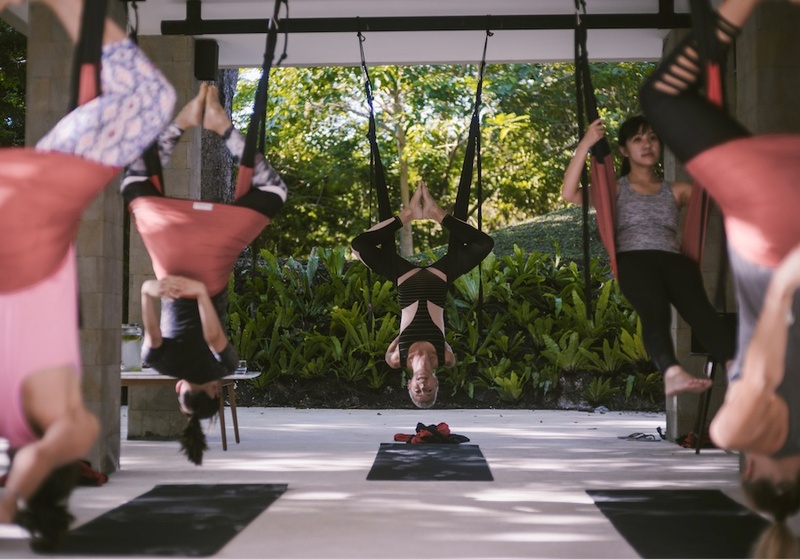 The day begins with a 1-hour Aerial Yoga Class, the first ‘float’, where you will find yourself suspended above ground on a hammock. Aerial yoga, sometimes known as suspended yoga, defies gravity and allows you to perform various yoga poses with ease. The suspension releases tension in the bones and muscles, each pose helping to increase flexibility and deepen your practice. Balancing of course is a central part of this and therefore it improves core strength and increases flexibility in the spine and shoulders. This exercise regime also helps ease tension on the back and hips. The second program is a one-hour Aqua Yoga Fit Class. Once again you’ll be floating but this time on a mat above the pool. Here you’ll take part in a series of balancing exercises and stretches, all of which help to improve balance, core strength as well as mental focus. Finally, after 2 invigorating hours of exercise and yoga, it’s time the restorative float with a Saltwater Floating Pool Session (30-minutes). Floating is a way of gaining introspection to achieving a natural restorative state through deep meditation. Simply allowing a moment of peace and tranquility in the water increases energy levels, bodily awareness and mental clarity while simultaneously reducing stress hormones. 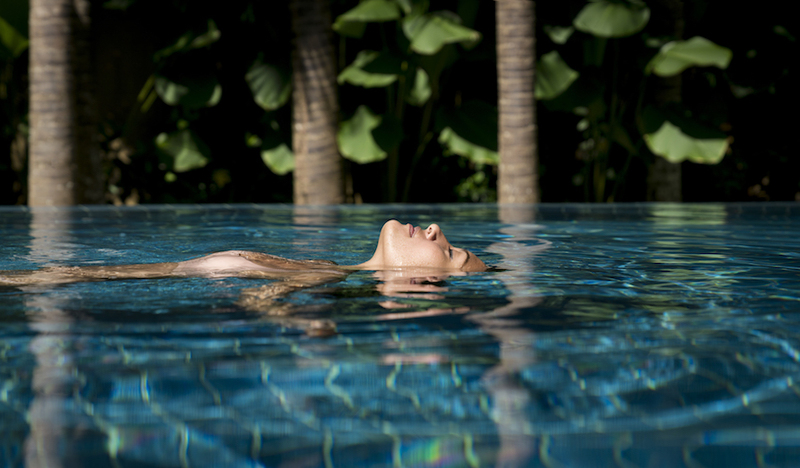 Floating allows the body to become weightless and calms the mind, pausing from our busy and over stimulated environment and entering a state of deep mental and physical relaxation. Together, these three floats will have you feeling light and weightless. Body stretched and flexible, mind calmed and spirit refreshed. After the official program you’ll be given free access to REVĪVŌ s hot and cold plunge pools, Jacuzzi, steam room, infra-red detox sauna and the gym, if you want an extra work out! 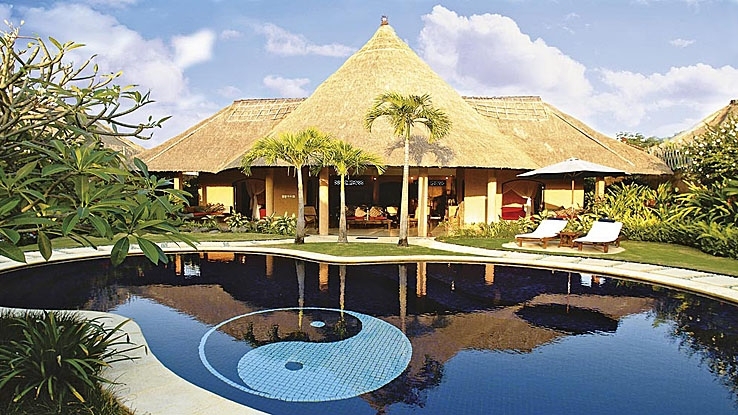 So, if you’re ever in need of a day of release, join the Floating Sundays at REVĪVŌ Wellness Resort, sprawling across three hectares of land in Nusa Dua, surrounded by tropical vegetation and wide, open spaces.